This month we’ve been working on some programming that explores the often complicated relationship between fashion and protest. 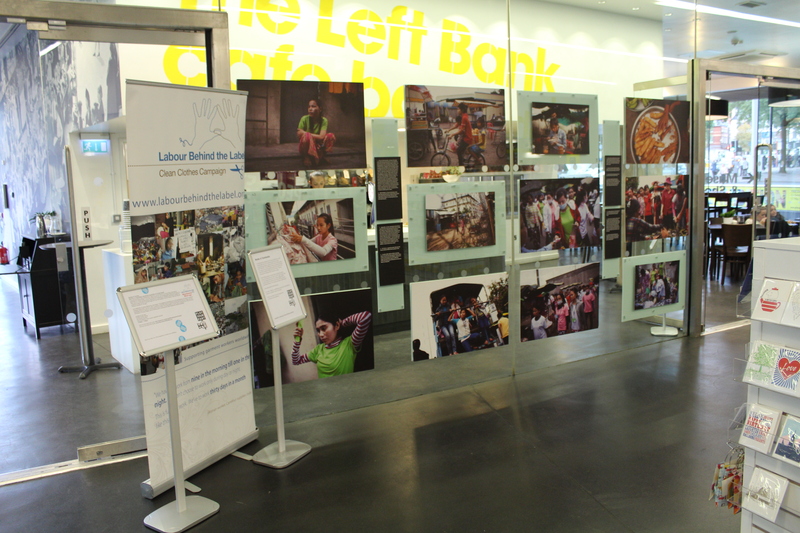 We’ve got an exciting new pop-up exhibition in the foyer and The Left Bank cafe bar from Labour Behind the Label called Made in Cambodia and you can sample life as a garment worker at their Race for a Living Wage: educational exploitation for all the family! event this Sunday. The exhibition details the lives of Cambodian garment workers producing sportswear goods in the run-up to the London 2012 Olympics. 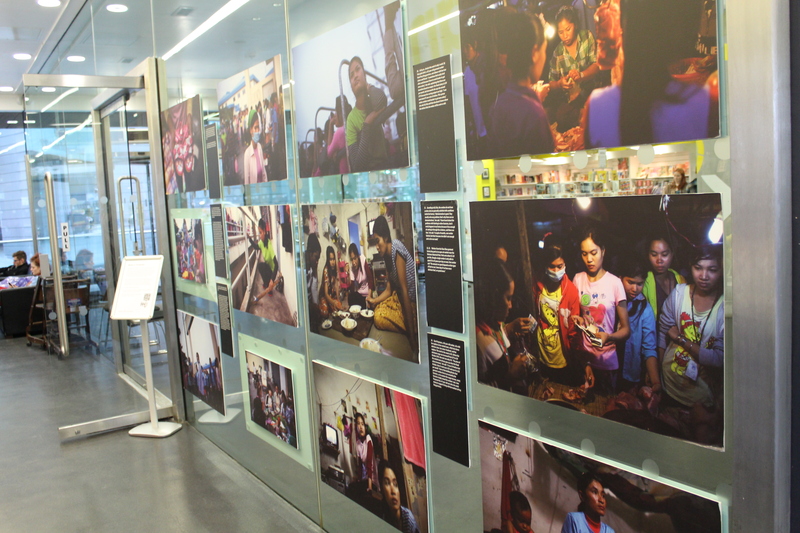 The photography exhibition follows one day in the lives of a group of women garment workers who work in the Shen Zhou garment factory in Phnom Penh, making products for Adidas’s 2012 Olympics range. Their stories speak of poverty pay, excessive working hours, job insecurity and lack of union rights. Many work 11 hour days and survive on a basic wage of £39 a month, forced to share small rooms in factory-owned apartment blocks. The photos are taken by Will Baxter. I was given the protest clothing ticket by a friend during the summer of 2012. 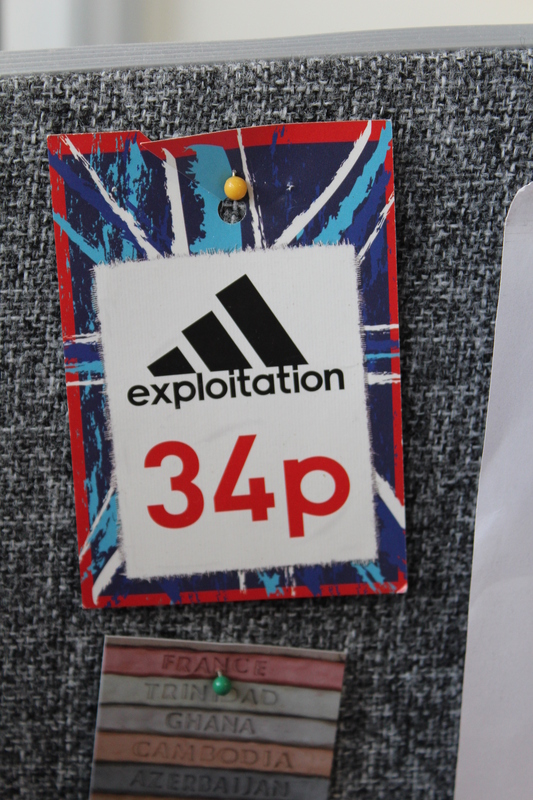 She was distributing these to ask people to get involved in a protest against the poor wages paid to people involved in making adidas goods in other countries. Adidas was one company receiving a lot of coverage for the Olympics that summer. The protest involved putting the protest tickets in stores that sold adidas goods. I really liked how the protest was a simple idea, but also quite effective in raising awareness of the issue with people who may be buying adidas goods. I keep this pinned by my desk to remind me of the creative and inventive ways that people can protest and how methods of protest can comes in many different forms. The other week, we went on a research trip to Bristol to meet with the lovely people from MShed and the Pervasive Media Studio at Watershed (there’s a lot of sheds in Bristol!). During our research for Play Your Part, we had come across Hello Lamp Post, an innovative and playful project where residents of Bristol could ‘wake up’ everyday street furniture and hold a conversation with it. In essence, texting a lamp post. We wanted to find out more due to the nature of the two-way dialogue Hello Lamp Post were able to create between objects and people – something we are interested in exploring at PHM. As Bristol is a three hour train ride away, we thought we better make the most of our visit and find out more about what is happening in the South West. First up, we went to see Ben from MShed, who gave us an exclusive tour of the galleries as they were closed to the public on Mondays. MShed tells the story of the history of Bristol through the objects and stories of the people who have made the city what it is today. We wanted particularly to find out more about their work with communities and how they collect stories and comments from their visitors both online and onsite. MShed was opened in 2011, just one year after we reopened, so we thought it would be a useful case study to compare a museum of a similar age. Whilst MShed focuses on the history of Bristol, there are a lot of overlaps with our story in that it covers how ordinary citizens have affected change. The galleries themselves offer a community perspective in the form of walls curated by residents of different areas in Bristol. 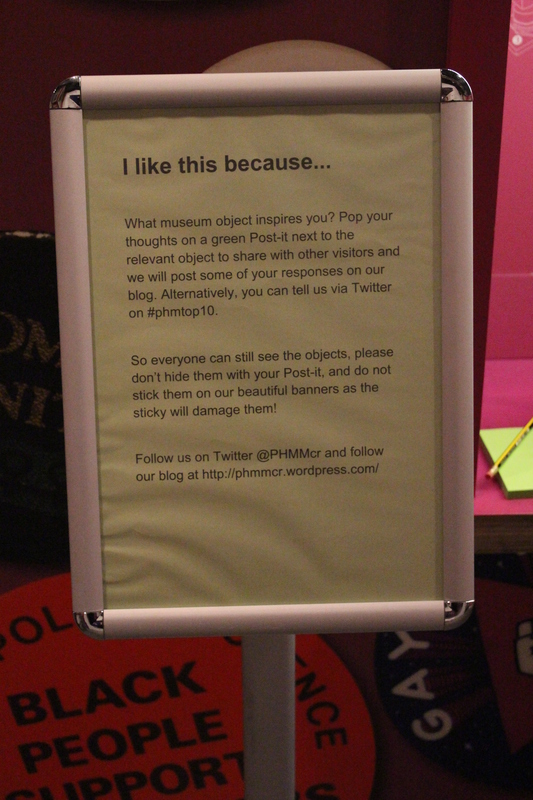 They included objects, stories, and opportunities for visitors to contribute their own memories. 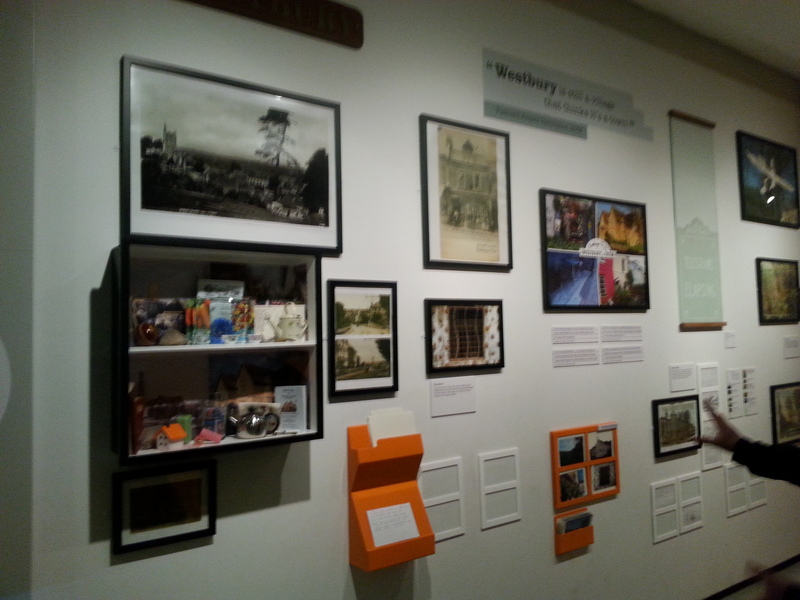 It was really positive to see a variety of voices in the gallery space, and helped to embed the museum within the community. 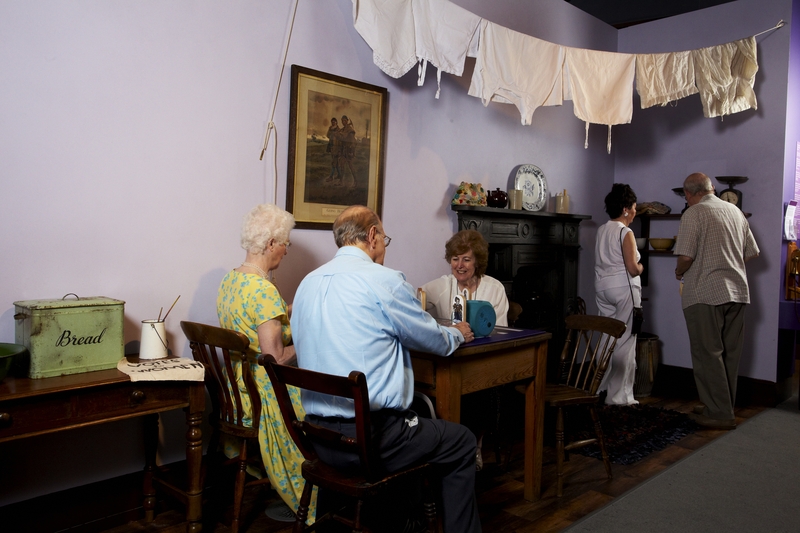 This theme is expanded throughout the galleries as there is a great number of opportunities for visitors to contribute their stories to the museum via both high-tech and low-tech methods. There are both benefits and limitations to this approach. Whilst some of the stories submitted were insightful, Ben admitted that they were hard to moderate, and many were unusable. This is something important to consider when we set something up at the PHM, as we will need to think seriously about the sustainability of anything we do set up, especially regarding staff resources and time, which are precious commodities. 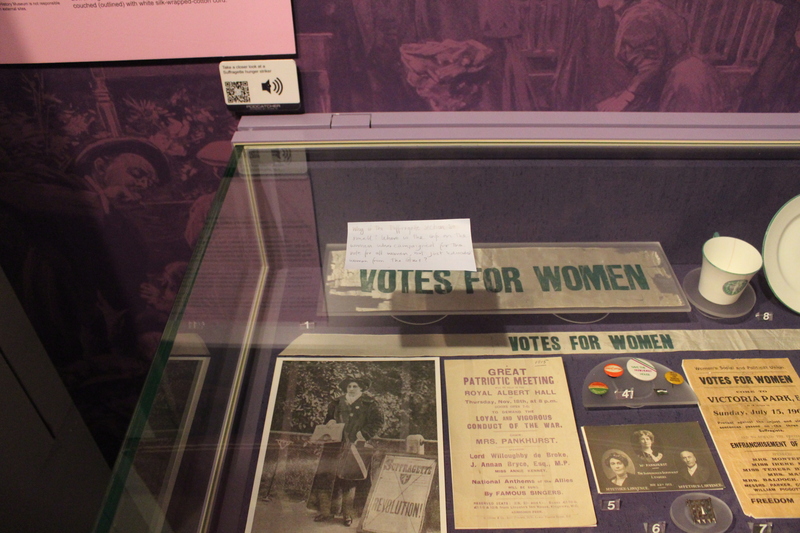 One of the methods used to gain visitor feedback on issues covered by the museum, was a number of ‘Have Your Say’ voting screens, dotted throughout the galleries. They covered themes such as congestion on Bristol’s roads and issues surrounding the slave trade. After voting, visitors were asked their gender, age and location. This allowed you to see the break-down of votes by these demographics. Ben said they had had thousands of people vote via this method, but pointed out that they sometimes left visitors confused as to the actual purpose of the vote, as it is not obvious why they were asking for the information. 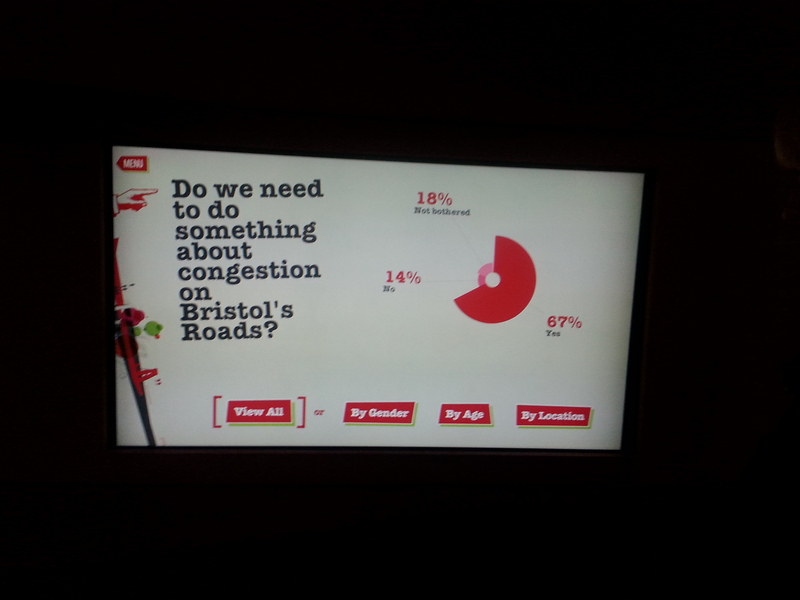 One would assume that a question about congestion on Bristol’s roads may be used by the council to garner residents’ opinion; however the results cannot be used for this purpose due to the unscientific nature of the vote. This is something we need to consider when posing questions to our visitors. We need to make transparent why we are asking the question and what will happen to the answers, e.g. 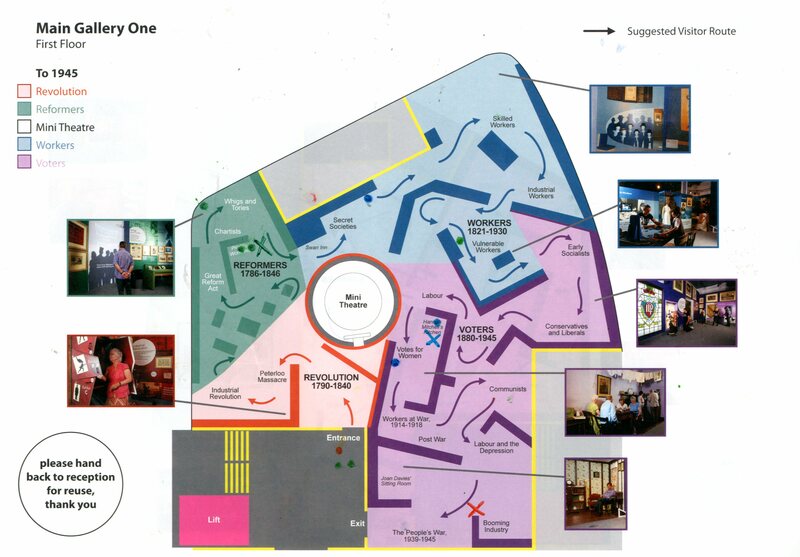 will they feed into developing the museum in some way, or will they simply be a snapshot of visitor opinion. Our second stop was Watershed, where we met with Verity from the Pervasive Media Studio. Their recent collaborative project, Hello Lamp Post, was the main draw for us to go to Bristol, so were keen to find out more about it. Unfortunately, the project had finished so we couldn’t actually text a lamp post/ post box etc. Gutted! Verity explained that Hello Lamp Post worked well because it had a story around it – the narrative of ‘waking up’ street furniture. In order to get people involved and invested in a quirky concept like this you need a powerful conceit. They didn’t want it to be the usual ‘hipster’ crowd, but wanted as low a barrier to access as possible in order to attract a wider audience. Verity used the phrase ‘minimum viable magic’, you need to give the impression something has happened in the most minimal way possible, which is why text messaging was used to create the conversations. A major strength of the project was that shallow participation- i.e, people only ‘speaking’ to the object once – felt good to the user, and deeper engagement was not always required to have a meaningful experience. People especially loved questions that suggested an activity, for example, ‘If you were as tall as me what would you do?’ and (asked by a bridge) ‘How many steps did it take you to cross me?’ The project took a lot of production time and Verity explained the importance of needing to get physical in order for digital activities to work. 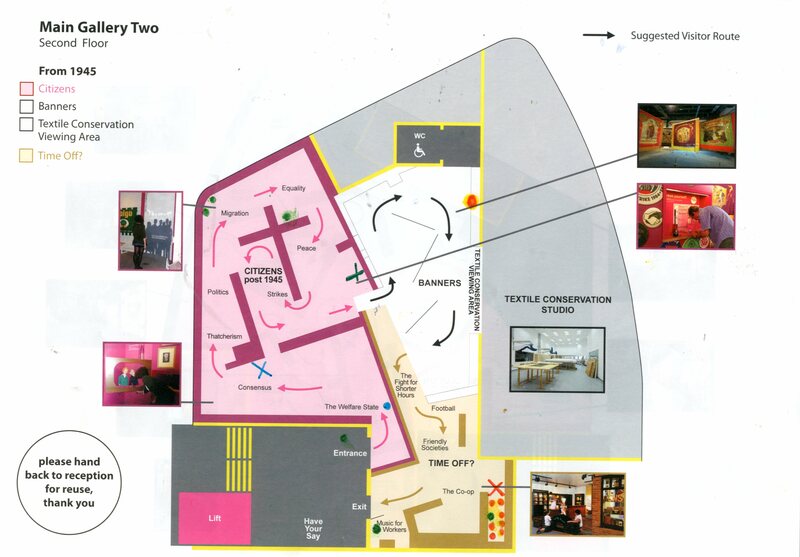 They did a lot of research into the city, location scouting for places where people walk every day and iconic ‘hero’ objects, which were specifically scripted. There was a massive banner and billboard campaign to promote the project. Overall, 25000 text messages were sent with 5000 players, and the top 10 objects interacted with were the ones with the banners on. We also met with Matt during our time at Watershed, who is a producer for REACT, an organisation which funds collaborations between arts and humanities researchers and creative companies. Last year, REACT held a Heritage Sandbox – bringing people together in one space to workshop around a theme. Heritage Sandbox supports collaborations with ground-breaking ideas that create innovative, meaningful experiences for the heritage sector. The outcome was six projects, including Ghosts in the Garden, where Splash & Ripple and academic Steve Poole developed a ‘Georgian listening device’ for the Holburne Museum in Bath taking audiences on an epic journey of rediscovery, pitching visitors headlong into the past. 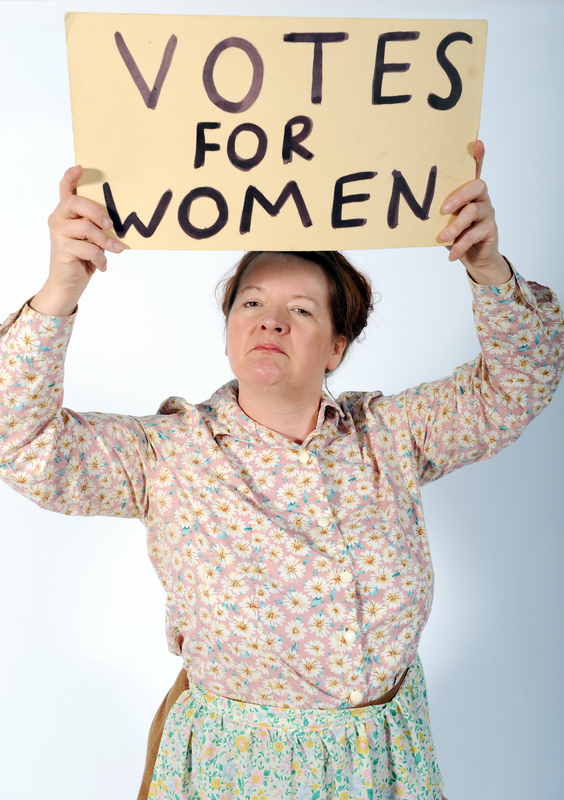 – Call to action – put yourself in the audience’s shoes – how do I engage? Do I want to? 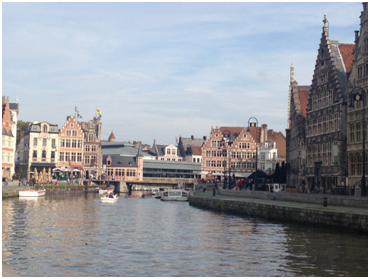 I’ve just got back from a Conference in Ghent, Belgium exploring the social memory of buildings across Europe as part of a Belgian project being run by the University of Ghent, the Public History Institute, Amsab-Institute of Social History and the Arts Centre Vooruit. I was one of 6 international speakers representing organisations from France, Sweden, Denmark, Germany and the Netherlands… and the UK of course! 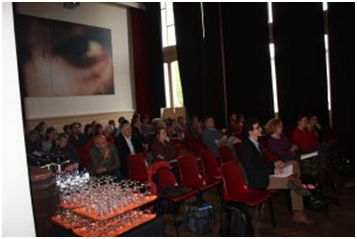 The workshop took place at the Vooruit Arts Centre which is celebrating its 100th anniversary this year. The Socialist movement built the ‘Feestlokaal’ or Party Room of Vooruit in 1913, the same year that the world exhibition was organised in Ghent. It had to be an “opera for the working people”, offering blue-collar workers a café, a restaurant, entertainment and education. And it’s a fantastic building and organisation to visit today. The range of speakers was great and provided a number of perspectives and examples of how historic buildings (and especially those associated with working people) have been repurposed and reinterpreted today. 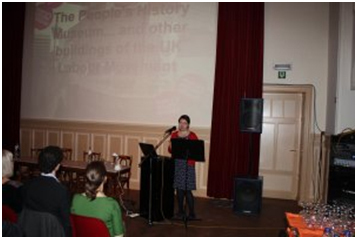 Talking about PHM’s connections to two important buildings – The Mechanics Institute and home of the TUC, and the Pumphouse as a working Engine House – went very well. There was lots of interest in the museum and it was great to share our history and journey with an international audience. How can museums be truly neutral spaces when they receive government funding? How can we use derelict / empty historic buildings in our cities in creative ways? How do you navigate the grey area of being a contemporary space where current campaigns and conflicts could have a home, with being a professional museum? I found the discussion really invigorating and inspiring – it was great to have conversations about the role and purpose of museums – especially when we’re dealing with different points of view, political collections and conflict in history. Lots of ideas and thoughts to feed back into our work at the museum – especially as part of our current Play Your Part project which is all about the museum’s response to contemporary events and ideas – which are often challenging to represent and interpret. Yesterday, the Supreme Court was given the opportunity to decide on whether two prisoners in the UK had the right to vote under European Union rules. If they had sided with the prisoners getting a vote, even though it is still illegal under British law, it could have resulted in UK parliament lifting their blanket ban on prisoners voting- a subject which the European Court of Human Rights had previously told them to do. As it turned out, the Supreme Court dismissed the appeals, stating that EU law did not provide an individual to vote if the national parliament did not agree to it. Convicted prisoners in the UK are currently banned from voting on the basis that they have forfeited that right by breaking the law and going to jail. 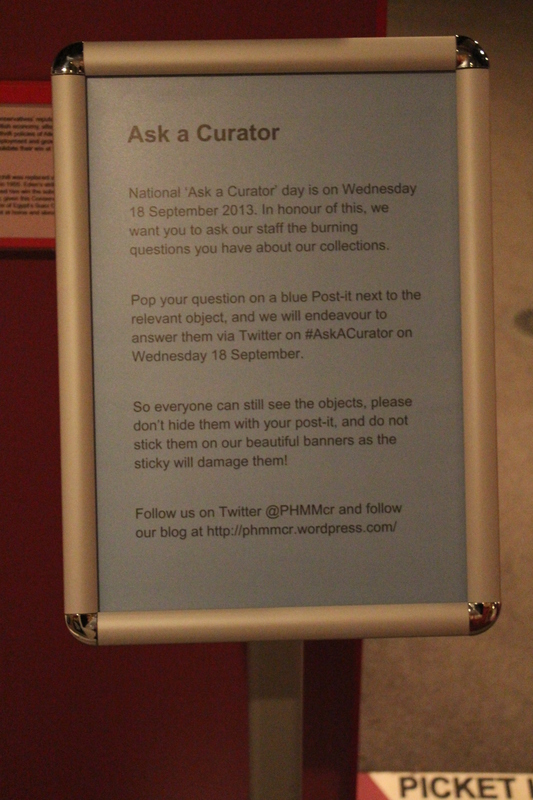 Inevitably, there has been some debate around this subject so we thought we’d ask our visitors what they thought! 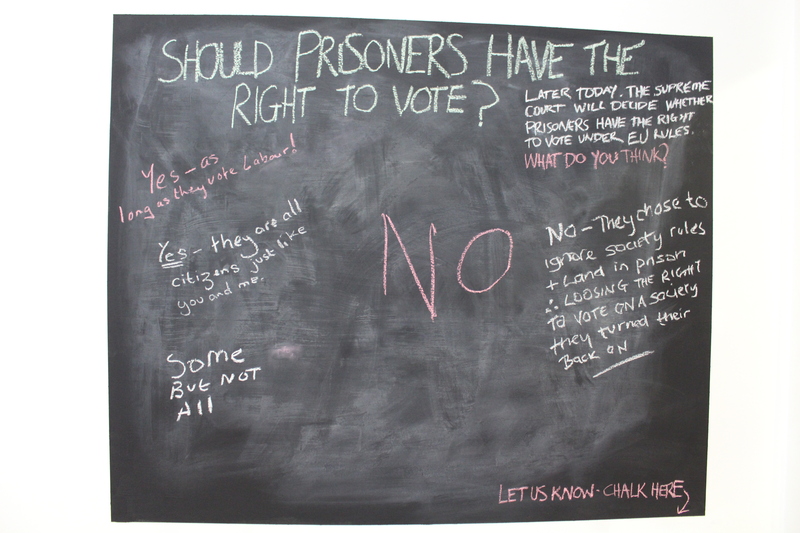 We posed the question ‘Should prisoners have the right to vote?’ on a blackboard outside Gallery One on the day of the vote, and checked back in the evening to see what consensus had been. We had a total of five comments, all expressing rather different, but equally interesting views. Consensus was split equally, with two visitors stating that they did believe that prisoners had the right to vote- one arguing that they are ‘all citizens like you and me’, while the other left us in no doubt of their political affiliation and stated that prisoners should be able to vote- so long as they voted Labour! One visitor stood in the middle of the debate, and stated that voting should extend to some prisoners, but not all. This is an interesting comment and raises a number of questions such as who would and wouldn’t be included, and where do you draw the line? For example, should it be allowed for prisoners serving short sentences, (an idea which has already been proposed in the UK), or would it rest on the severity of the crime? 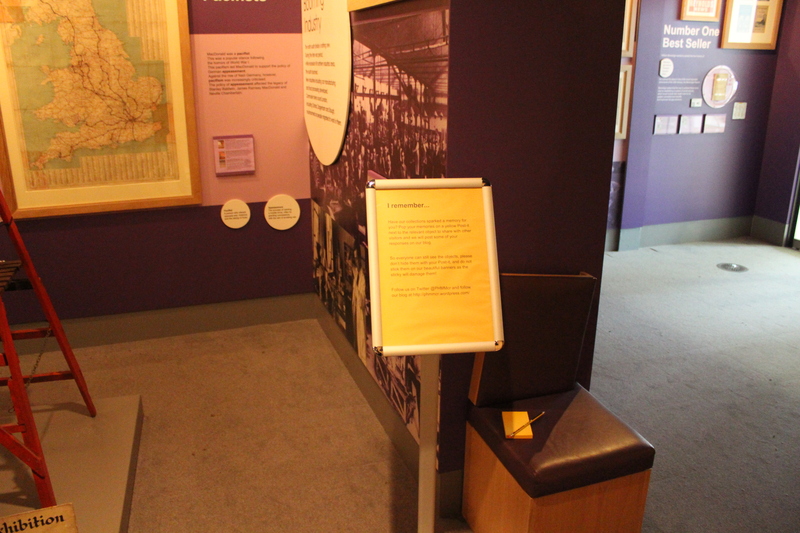 Two visitors believed that prisoners should not be allowed to vote; one writing ‘NO’ in very large letters! The other elaborated on this belief and argued that prisoners lost their right to vote when they ‘turned their back’ on society. Do you agree with the Supreme Court’s ruling? Have your say on our poll at the bottom of the page!